Child-friendly?This Is It chronicles music superstar Michael Jackson’s preparations for his much-anticipated sold-out concert tour in the months before his death. Fans of the late King of Pop will most likely enjoy the movie and parents can overwhelmingly feel confident that This Is It doesn’t contain any drug use, drinking or smoking while showing a talented performer working hard for a highly-anticipated comeback. Scenes for the performance of "Thriller" do contain some images that may be scary for younger children, like zombies and ghosts, making This Is It appropriate for children aged 9 and up. 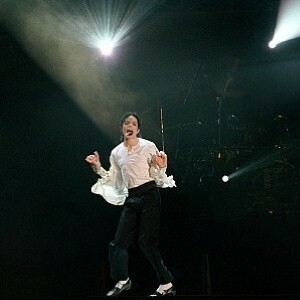 Michael Jackson was slated to perform in 50 sold-out shows in London before his untimely death on June 25, 2009. This Is It captures the practices leading up to his much-hyped comeback performances, taped at Los Angeles’ Staples Center between March and June. Amid all the controversy that Jackson’s life had including allegations of drug use and child molestation, the movie portrays him as a true professional working hard. Although Jackson does seem frail in the footage, his performances are good and the people around him seem to genuinely respect him. This Is It contains practice footage for the performances of some of his greatest hits, including Thriller, Beat It, Billie Jean, Man in the Mirror and more. The movie does not contain any profanity or bad language. However, Jackson’s suggestive dancing and signature crotch-grabbing is included. The film is directed by Kenny Ortega, known for his work on the High School Musical movies. The footage was not initially intended to be turned into a movie but was supposed to be for Jackson’s personal archives. Overall, anyone who was a fan of Michael Jackson will most likely feel that that movie is a tribute to a fantastic performer with a great work ethic. Even non-fans will be able to appreciate and respect Jackson’s talent and drive. It may also provide parents and their children with an opportunity to discuss music and what makes a great performer as well as the history surrounding some of the legends in the music world, like the so-called King of Pop.